Generally vines are tough as old boots. They grow in awful ground. They survive blistering hot summers. They don’t mind weeks of snow cover. Quite frankly they’re miracles of nature and everybody in Burgundy is grateful to have them – as is most of the rest of the world. But there’s very bad news – grapevines have one chink in their armor – the early buds can’t cope with late frosts. So this week in Burgundy has been a major disaster. 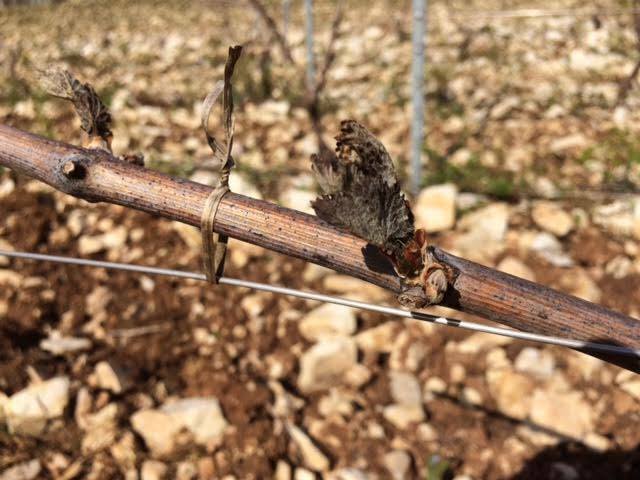 Just when everything in the vineyards was going along nicely, the frost struck on April 25th and 27th and damaged the new buds. People are already suggesting this is the worst attack since 1981 and comes hot on the heels of hailstorms in the Mâconnais region 2 weeks ago. Both Pinot Noir and Chardonnay vines have been affected in some of the best areas including the famous grand crus of Puligny. The frost normally sinks down to the lower ground but this year rose up to the top of the slopes. But the bad news doesn’t end there – swathes of vines in the Loire Valley to the west were also hit with Chinon, Bourgeil and Vouvray affected. Champagne did not escape unscathed and producers there also expect to lose some of the harvest. Experts are still assessing the damage and it may take weeks before the extent of the problem becomes apparent. The second buds will come on the vines in a couple of weeks but they bear less fruit. Whatever the outcome volumes of wine seem certain to be down and the harvest will be late. Some experts are suggesting that it might not be only the 2016 vintage that is affected, but the 2017 as well. 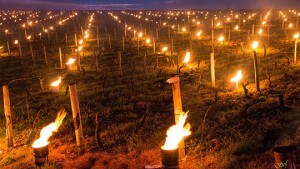 Winemakers have been told to prepare for more frost and will take precautions to keep temperatures above freezing but there is a saying in these parts that goes ‘you can’t set fire to a forest once it’s been burned to the ground’. We feel for our colleagues and neighbors. This week we shall be raising a glass and toasting to ‘espérance’ – hope. Naturally we’ll let you know more news when we have it. We ran our first cycling cruising tour or the season last week – ideal in the crisp weather. Look out for a report and photographs in a forthcoming post. It may be unseasonal but, given all this cold weather, this week we thought we’d better give you a recipe for a warming soup from Eleanor Garvin’s excellent book The Papillon Recipes (available from Amazon). This recipe originally comes from Ellie’s home turf of Annapolis where she used to use Maryland blue crabs. 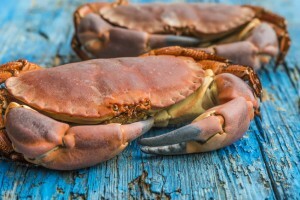 In Burgundy she uses Atlantic ‘torteau’ crab – but the choice is yours. Saute the onions and garlic in butter over a medium heat until soft. Add the cubed apples and the curry powder then cook for another 5-8 minutes until the apples have softened a bit. Sprinkle the flour over the apples and mix well. Cook for 3 minutes then slowly add the chicken stock, stirring constantly to avoid lumps. Once all the stock has been added bring to the boil, add the tomatoes and simmer for 30 minute. Finish the soup by adding the cream and the crab meat. Season to taste and serve hot.